Yesterday, I shared a time that I was in a funk and how I got out of it. Here are 3 things YOU can do to get your Mojo Back! 1. Identify what stole your joy – what put you in the funk? Was it a particular incident or bad experience like performing poorly on an exam or breaking up with your boo-thang? Knowing why you are in a funk is an important first step in getting out of the it. 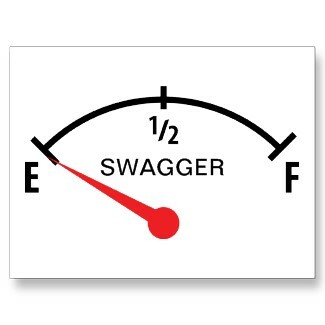 If you realize that you can’t quite figure out why your swagger is on E, reach out the people on your campus or in your community that are trained to help, this could be a sign of medical issue, depression, etc. 2. Remove the THIEF!! – If at all possible, remove the thing that stole your joy from your life! If it’s a friend, give that friendship some distance to give yourself a chance to evaluate its value. If it’s an event, do something that allows you to take your mind off the drama. Trust me it will be there for you to deal with when you get back! But sometimes it helps to call your people and go see a movie, work out, play cards, anything that puts you around positive people doing positive things. Be careful not to lean on negative or destructive outlets, they will do more harm than good. 3. Move on – After you have identified how you lost your mojo, removed the mojo-stealing elements from your life, now it’s time to MOVE ON! If we stop after we fail, the only thing we will remember is our failure. But if we continue to try until we DO, the failure makes the achievement that much sweeter. Have you ever been in a funk? I talking a certified, “I really just don’t give a darn” mood. Of course, you have, we all have moments of funk or “I don’t feel like being bothered” days. Sometimes there are people that serve as a catalyst to our feeling blue, like a particular professor, co-worker, or friend. These times and emotions are inevitable. But what happens when you get knocked off yo square for real for real? What happens when you lose you mojo? How do you get it back?